Sunlight can really do a number on your gear. Whether it’s made of plastic, rubber, fiberglass or fabric, the sun’s UV rays can break it down fast. That’s why you need UV Tech™ by M Essentials™. This powerful sun protection formula shields all kinds of materials from harmful UV rays to prevent fading fabrics, deteriorating rubber and discolored fiberglass. Plus, UV Tech restores gear to its original look by replacing lost plasticizers, rejuvenating surfaces and brightening colors. UV Tech is like high-tech sunscreen for your gear. Apply it to everything you use or play with outside, like boat covers and cushions, kayaks, rubber boots, float tubes, waders, patio furniture, pool covers, awnings, ATVs, car and bike tires, water skis, snorkels and fins. You’ll find hundreds of uses for this nontoxic and biodegradable UV protectant. Prevent cracking and fading, and help gear last longer. 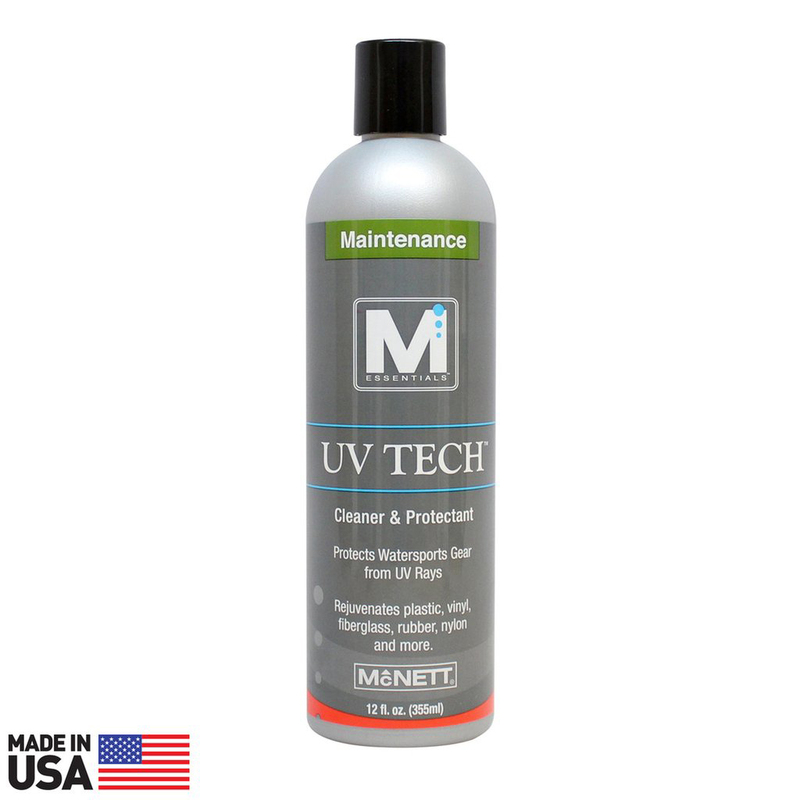 Treat it with UV Tech by M Essentials before or after sun exposure.